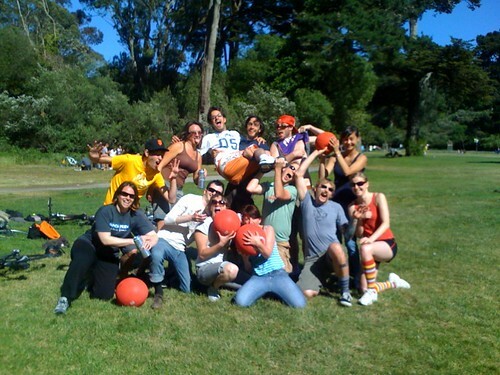 San Francisco Kickball Coalition » Kick-Off Kickball Season Slammer!! 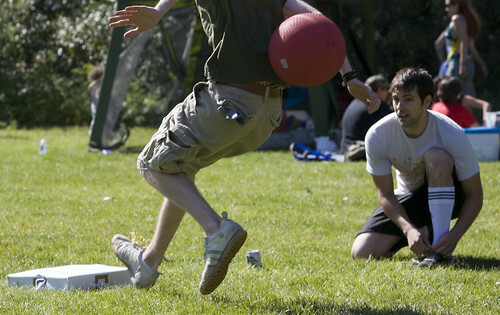 Spring is here, so let’s spring into gear with some hard-kickin’, fast-runnin’, ball-catchin’, friend-makin’ madness at our Season Opener Kickball game. That’s right kids: We’re starting a no-pressure kickball league! What does no pressure mean? Exactly that. No fees. No fixed teams (yet! ), no bad times. If it rains, don’t show, we won’t be there either. Bring food, bring non-alcoholic beverages (for hydration, we’ll supply the alcoholic beverages for your dehydration needs), but most importantly — BRING YOUR FRIENDS! 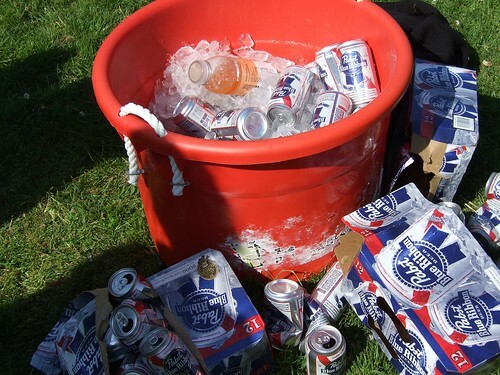 This is the best thing since weekly picnics in Dolores Park and we want you to share in it. So brush off the tennis shoes, get out your gym shorts (bonus points for the extra-short kind! ), pull up some knee-high socks, and get your butts to the field to KICK SOME BALLS!! Sun, April 13 2008 at 2 p.m.
Hells yeah! Let’s get everyone around the bases this season! Hurrah! I can’t think of a single reason as to why the opening game wouldn’t be called the kick-off. Guys thanks for putting this together it was a ton of fun!! !